Our toasted oak barrels are perfect for brewing large batches of Kombucha at home. 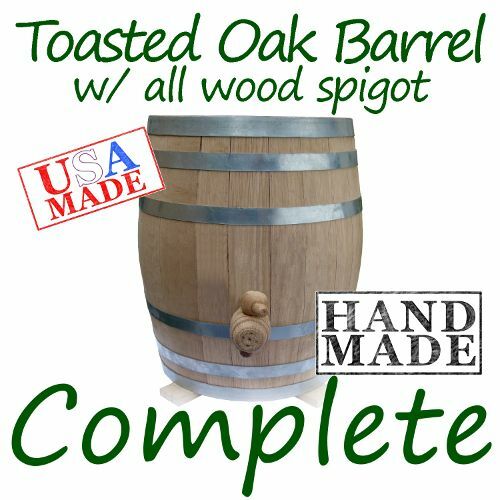 All of our toasted oak barrels are handcrafted in the USA with all natural materials. 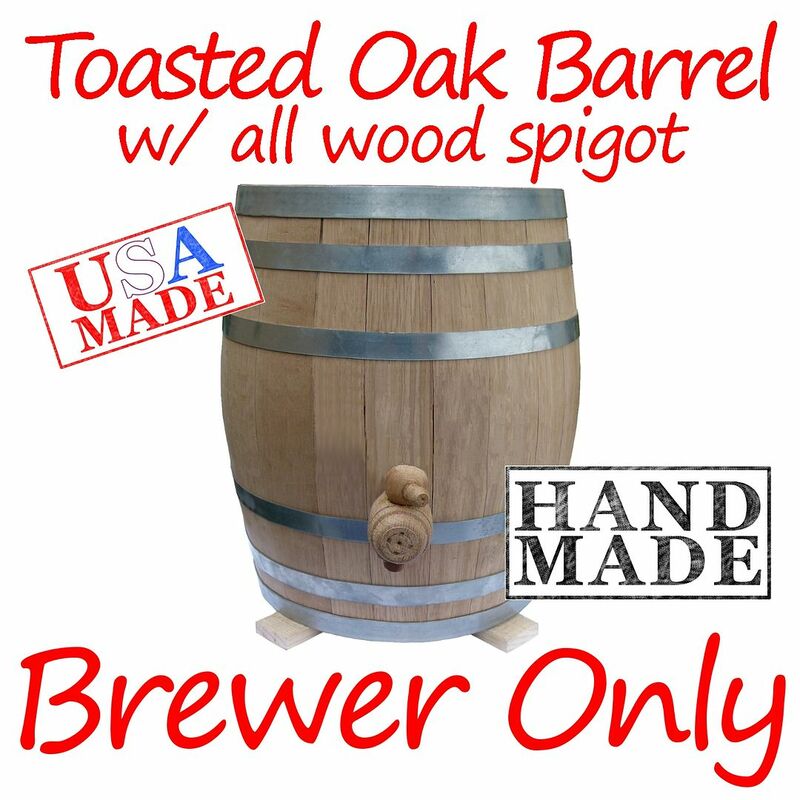 Each oak brewing vessel comes with a wooden spigot and spigot brush to help prevent clogging. 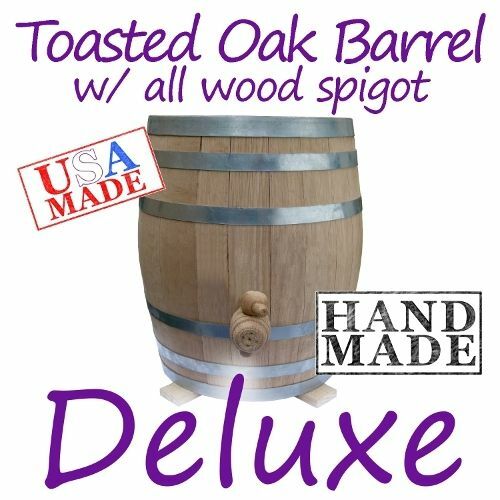 You can also customize your toasted oak barrel with an engraving on the front. Just like our stoneware vessels, our toasted oak barrels are handmade right here in the USA with all-natural materials so you can brew with confidence. 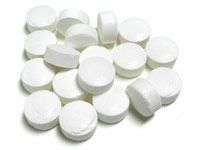 Sanitation Tablets Keep Oak Barrels Fresh and Clean! 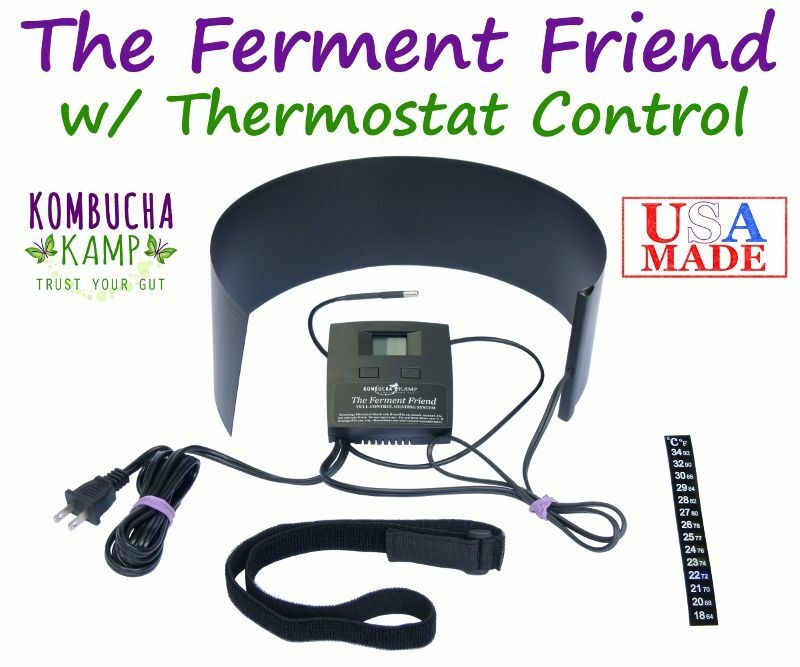 Why Choose an Oak Barrel for Brewing Kombucha? 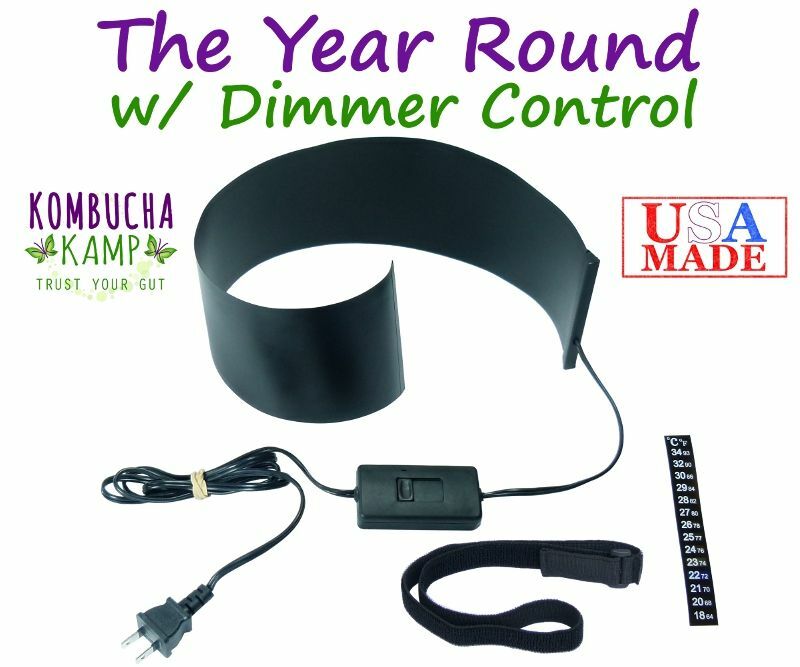 Not only are oak barrels popular for brewing other drinks like wine and beer, they're also popular for brewing Kombucha due to the unique flavor it imparts in the finished product. 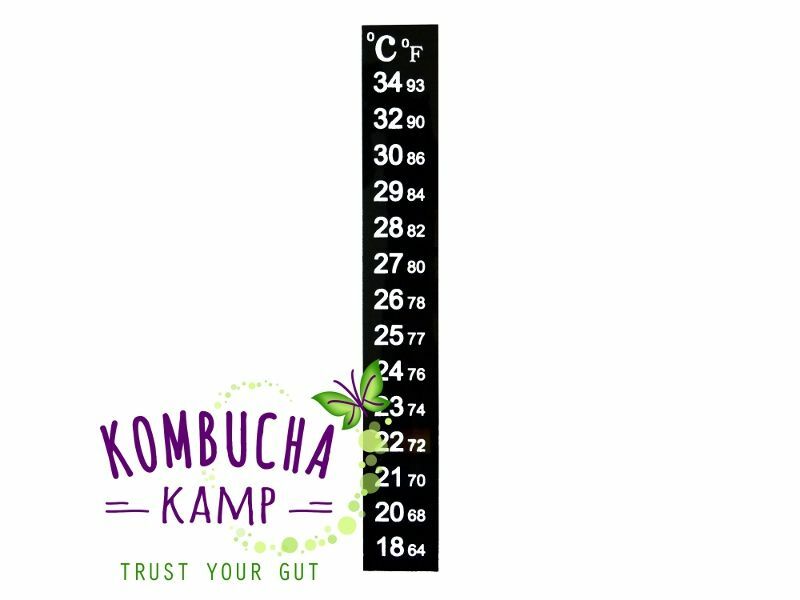 It's hard to describe the flavor but many people say that it adds a mellow, ”woodsy”, flavor to Kombucha tea that has been compared to the rich, oaky flavor found in Chardonnay. In addition to adding a unique flavor to Kombucha, the oak also adds tannins (much like tea) which help to nourish the Kombucha culture. Not only do these oak barrels provide a unique flavor to your Kombucha tea, its rustic charm will make it as much of a joy to the eye as it is to taste buds. Some people even prefer the taste from oak-brewed Kombucha over other types of Kombucha flavors. If you aren't keen on adding fruit flavorings to your Kombucha but want to try something different, a toasted oak barrel is definitely the way to go. In addition to free shipping with our oak brewing vessels, we also offer continuous brew packages for even greater savings. Each package is assembled according to your brewing needs. 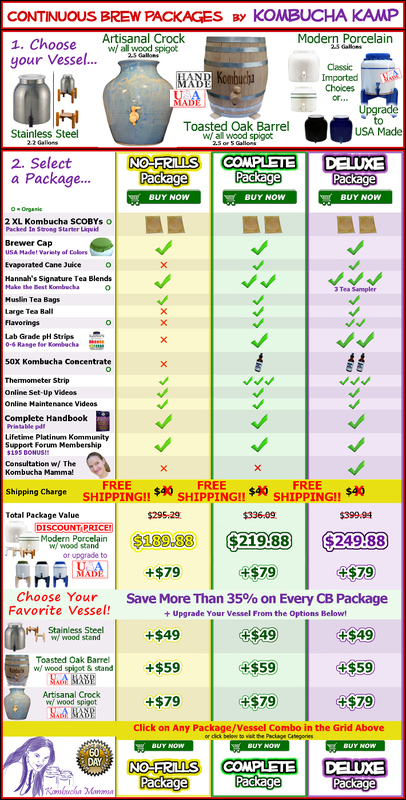 For basic brewing, our No Frills package comes with all of the things you need to get started. 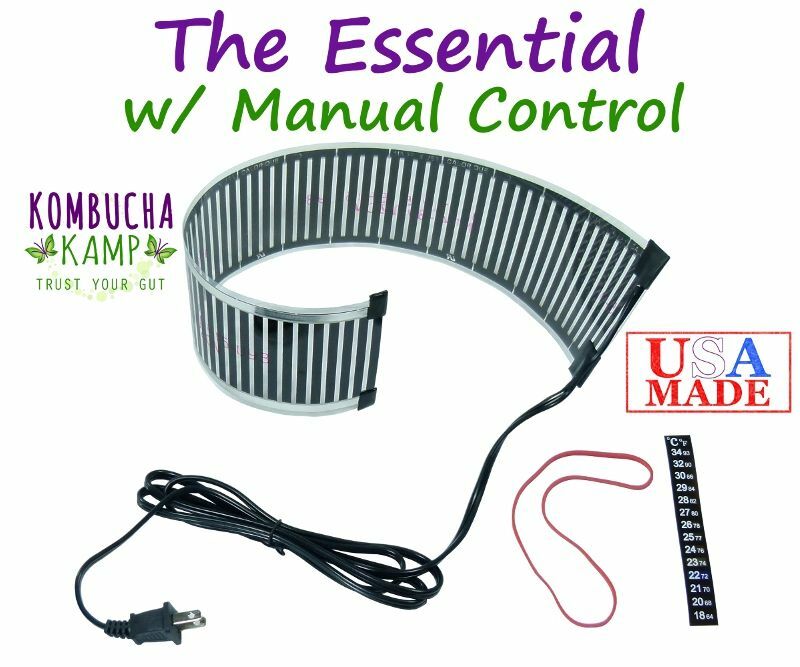 Our Deluxe package is a great choice for new brewers who are looking for extended support, including a phone consultation with Hannah Crum, the Kombucha Mamma! 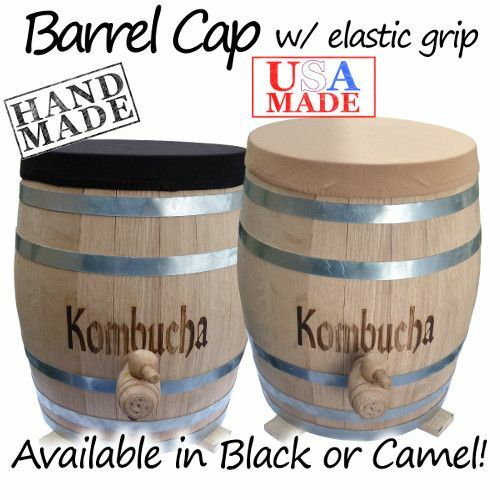 Of course, if you just want to buy the standalone toasted oak barrel individually, customized for Kombucha production with the wider top opening, vertical orientation, and higher spigot placement, as well as a custom Barrel Cap in your choice of black or camel (plus Free Shipping of course), we are proud to offer those separately. 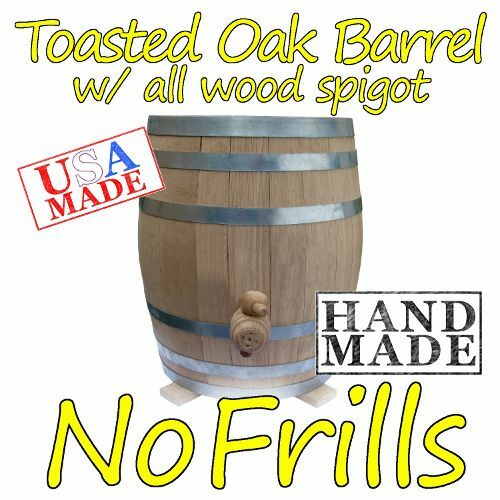 Our toasted oak barrels come in 2 sizes: 10 liter (~2.5 gallons) and 20 liter (~5 gallons) and both include a specially cut 6" wide opening for easy access to the cultures and brew as well as a 1" high wooden stand to keep metal edges off the countertop and make moving the barrel around much easier. The spigot is installed a bit higher than our other brewing vessels (a little less than halfway from the bottom) to prevent over-draining and make it easy to slip your glass underneath to taste the brew! It is believed that oak barrels were first built by the Celts around 300 B.C.